Just a few days before the New York International Auto Show kicks off in the Big Apple on April 16, Toyota has announced that Scion will debut the xB Release Series 10.0, infused with 'techie style'. 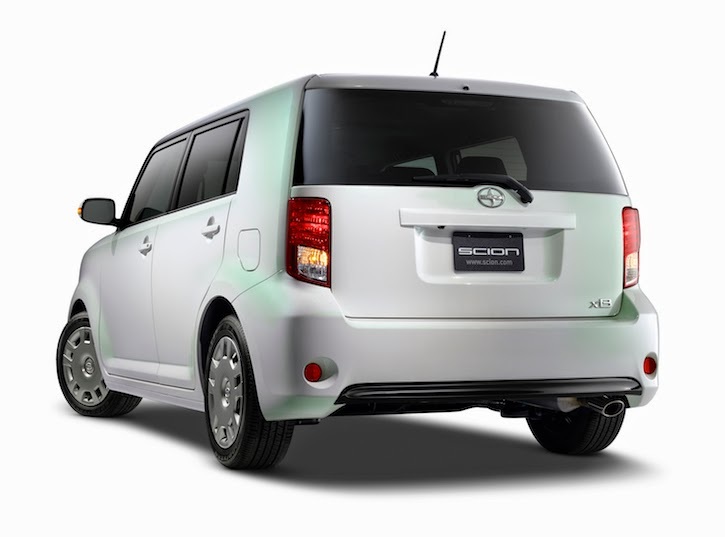 The Special Edition Scion 10 Series of cars commemorate the tenth anniversary of the brand from Toyota. The one 'techie style' feature in the xB Release Series 10.0 that stands out is wireless charging for your smartphone. 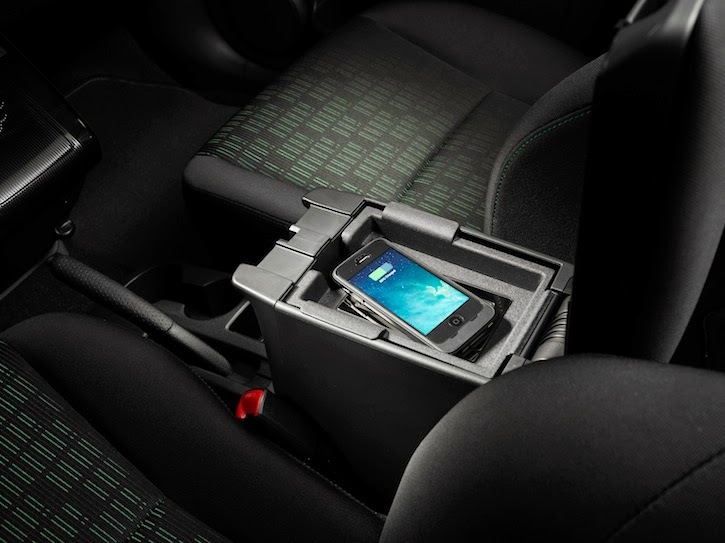 Conductive wireless charging will come standard in the limited edition model. Scion says only 1,500 of these vehicles will made. 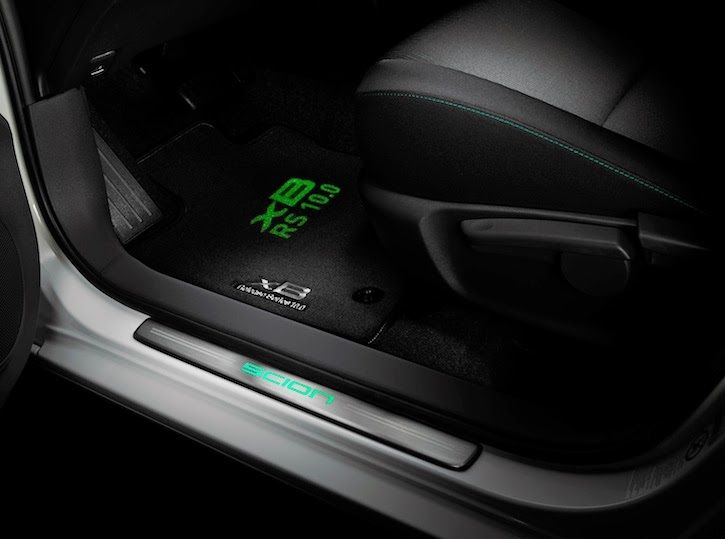 The technology consists of a charging mat placed in the center console of the car and will most likely use the Qi standard, which is already being used in the 2014 Toyota Prius and Avalon. You will also need a special case for your smartphone. Other features of the xB Release Series 10.0 include an Electric Quartz paint, Tungsten Gray colored wheel caps (no alloys?! ), piano black interior accents, illuminated door sills and cup holders, and projected logos from the rear bumper and driver's side interior carpet. 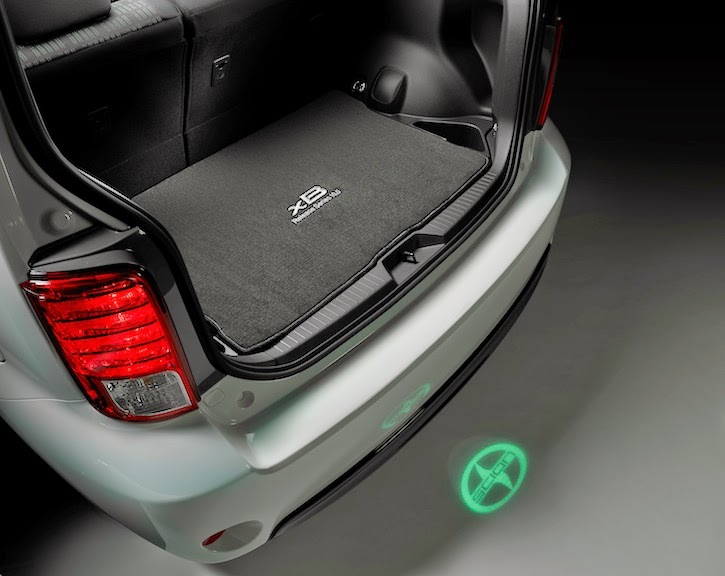 The sequential number of the specific vehicle will also be projected onto the passenger side floor. Check out these additional pictures. The complete press release is at the bottom of this post. TORRANCE, Calif., (April 10, 2014) – Digital design never drove so well. Scion will debut the xB Release Series 10.0 at the New York International Auto Show on Wednesday, April 16, bringing together the inspiration and functionality of modern technology. 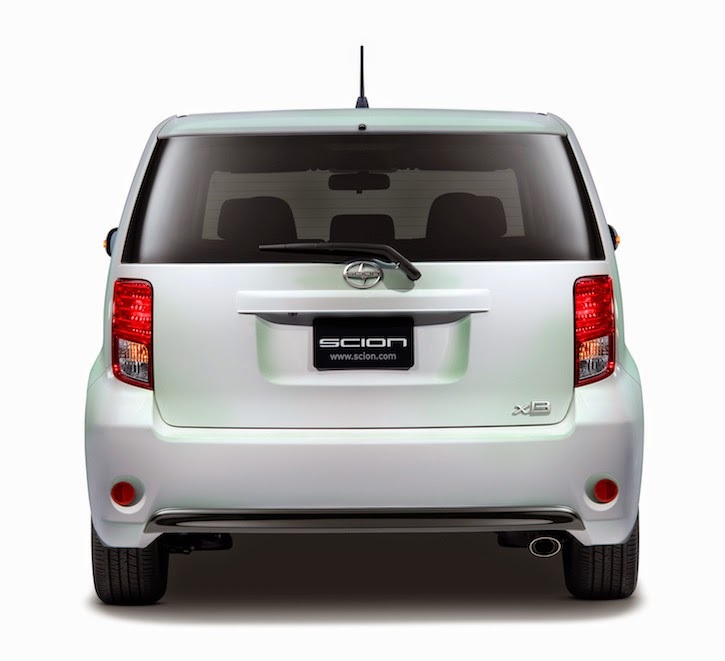 "The xB Release Series 10.0 gets a fun, technology influence with wireless charging, a backup camera and an exclusive, modern appearance to inspire drivers," said Scion Vice President Doug Murtha. "A culture of customization and passion already surrounds the xB, and Scion is delivering this unique series to further encourage fans to make these distinctive vehicles their own." Just 1,500 limited edition models will feature Electric Quartz paint, a pearl white with subtle green highlights. 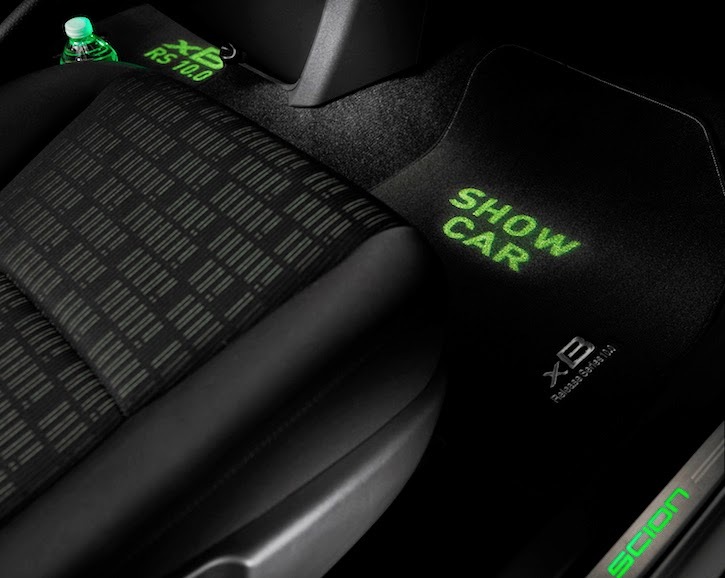 Green highlighting continues inside the xB with custom colored seats with accent stitching and door inserts. 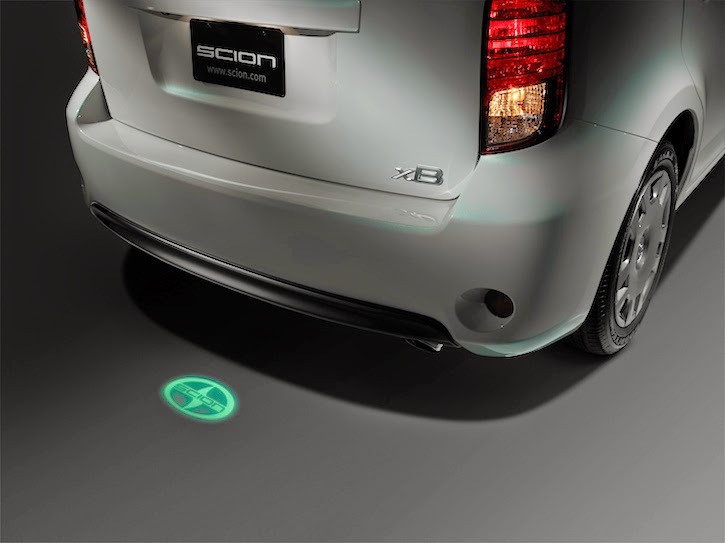 The tech-driven look is carried further with three unique projections: a Scion logo from the rear bumper to the ground, "xB RS 10.0" on the driver's side interior carpet and the sequential number of the specific vehicle projected onto the passenger side floor. Enhancing the in-car technology, the xB Release Series 10.0 will come standard with a backup camera and conductive wireless charging. The standard Scion Display Audio System in all 2014 Scion models features a 6.1-inch LCD touchscreen, AM/FM/CD/HD Radio™ technology, hands-free phone capability, music streaming via Bluetooth® wireless technology and AUX/USB port with iPod® connectivity. The xB RS 10.0 model will carry a manufacturer's suggested retail price (MSRP) of $20,420, available with an automatic transmission only. The price excludes the delivery, processing and handling (DPH) fee of $755. The vehicles will be available in dealerships this summer.